Every people knows the power of TV. That's why cherry mobile phones comes with a built-in TV on their mobile phones. It gives you versatility and mobility to get news and have news at the right moment. Having a TV on our pocket would give you a sense of information right? With its price starts at 1900 I cannot consider is as pricey one. 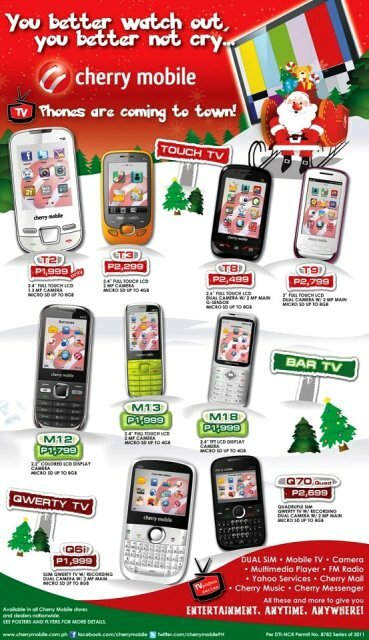 Here below is the Cherry Mobile Phones pricelist.